When I don’t understand a particular dish, I make it. How else would I figure out the flavors of something like Thai yellow curry? Like many cooks, I have mostly relied on tubs or cans of Thai curry paste. 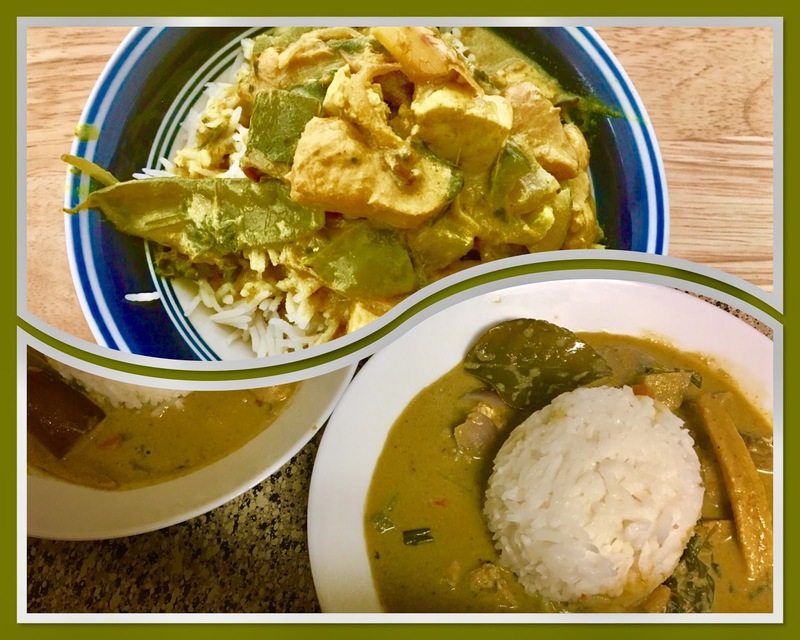 The yellow curry is one that I’ve avoided after trying it just once years ago. It was bland and insignificant tasteless. What the heck, I should try it again It took nearly 2 hours to produce about 2 cups of heady yellow curry paste – which can be refrigerated for weeks or frozen for months which I never freeze as my family are curry lovers and there's never enough curries to go around the dining table. We as a family consider ourselves as big fans of Thai cuisine. and realized I haven’t posted many recipes for you. To get familiarized you need to know the versatility of curry pastes and how easy they are to be prepared freshly.While you can always depends on the store bought, pre-made ones, homemade versions take the freshness flavor level up to a ten. 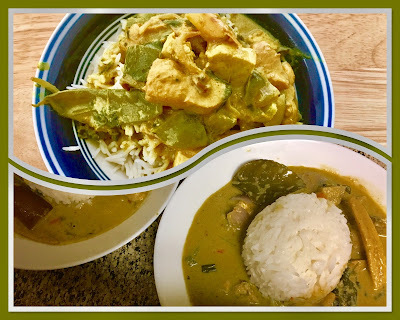 Since my hubby's cousin Sharmila just moved to Dallas few weeks back and she happens to be Fan of Thai cuisines too and I decided to treat her with Yellow Chicken Curry to pair up with her coconut rice for dinner and the verdict was " taste gd akka" . That's all I need nothing more or less. 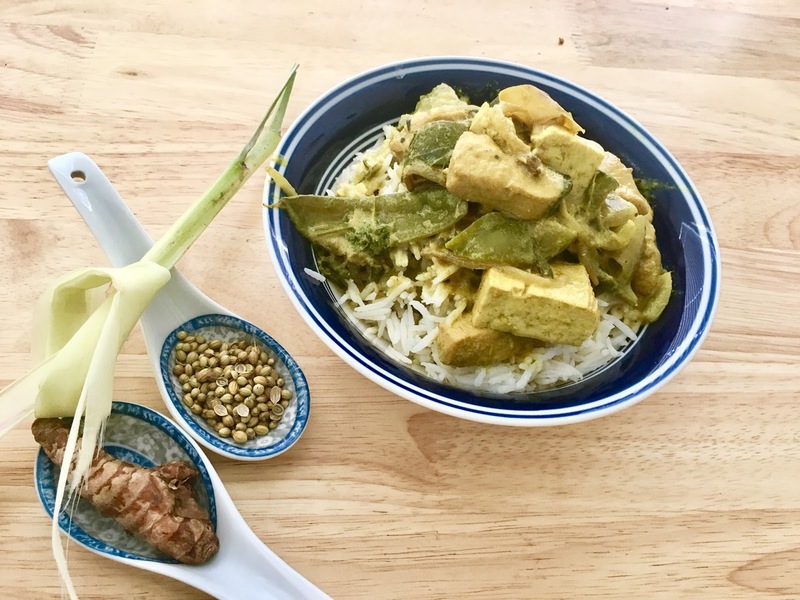 Yellow curry paste is so versatile, you'll want to try it with a variety of meat, seafood, vegetable, noodle and even soup recipes. 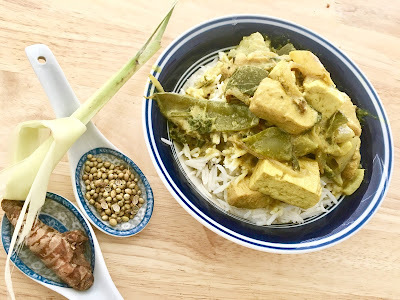 This fragrant yellow curry paste makes Thai food easy to cook, and quick as well, especially if you make the paste ahead of time. 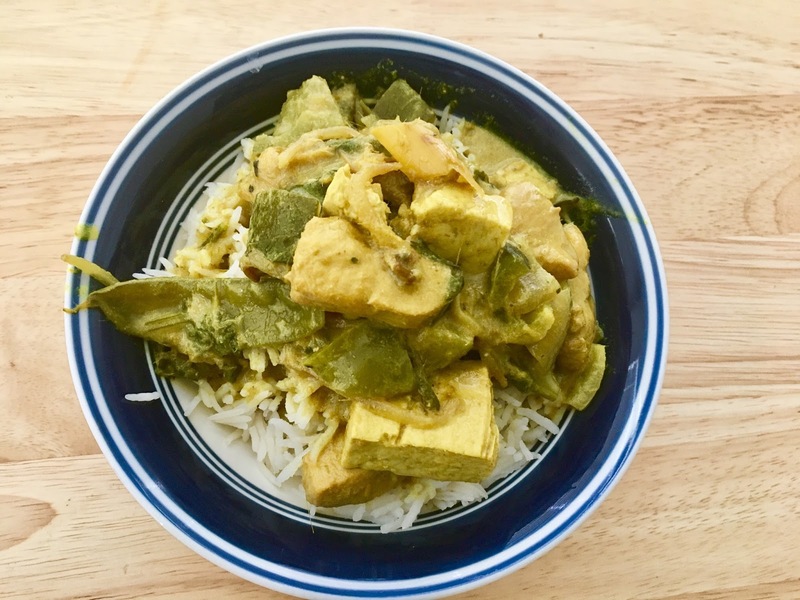 It's also super-healthy - you can tell by the deep yellow color of the turmeric ( I used fresh turmeric roots ) for this recipe. Most ingredients are the same with a few additions or substitutions to alter the flavor. 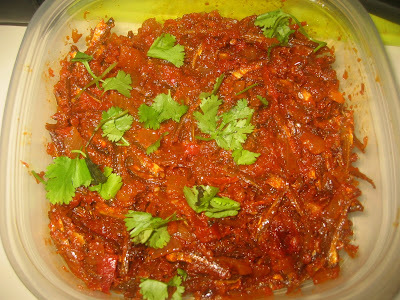 Lemongrass, garlic, shallots shrimp paste and chiles are the usual suspects and then the flavor additions of kaffir lime rind and leaves, ginger, galangal and spices like freshly roasted cumin and coriander seeds alter the taste of the curry to the next level. But you guys – my love for curry runs deep. And after making it completely from scratch and realizing HOW GOOD IT CAN REALLY BE, I couldn’t not at least try to make it again, and maybe make it a little easier. Guys do try out the recipe and let me know your suggestions and have a great weekends. Happy cooking folks!!! Cut the pointy tops off the heads of garlic so the cloves are partially exposed. Drizzle with oil, and wrap each head of garlic in foil and grill for 15 minutes. Remove the skin and keep aside.In a wok add couple spoons of oil and fry all the ingredients-plus the roasted garlic expect the coconut milk till fragrant. Allow the mixture to cool and grind to a smooth paste by adding the half the coconut milk-keep aside. Heat a heavy bottomed wok with oil and sauté the onions til browned followed by the sliced chillies lime leaves and crushed lemon grass. Add the chicken cubes and cook til half tender. Then add all the veggies one by one and sauté till tender. Add the sauces and finally pour in the yellow curry paste and the remaining coconut milk. Allow the mixture to boil and transfer to serving bowl garnished with chopped basil and coriander leaves.